Sending out a strong message that they will not yield silently to the hostile bid by infra major Larsen & Toubro, the four founders of Mindtree alleged that they were offered huge amounts of money apparently to give away the IT firm, said a media report. Mindtree founding promoters Subroto Bagchi, Krishnakumar Natarajan, Rostow Ravanan, and Parthasarathy NS were lured with “huge bags of money” to give up their control on Mindtree, Bagchi was quoted as saying by The Economic Times. They refused it without divulging who approached them with the money and exhorted employees to focus on their work to achieve $1 billion-milestone, said the report. Saying that they would not yield silently to Larsen & Toubro's bid to buy Mindtree stake, the tech firm's promoters termed the move by L&T an unexplainable deal that, they fear, would upset Mindtree’s relationship with their clients and competitiveness in the market, according to a report in The Times of India. “We do not see any strategic advantage in the transaction and strongly believe that the transaction will be value-destructive for all shareholders. Our success depends on building and nurturing relationships with our clients and partners," the founders were quoted as saying in the report. In the country's first hostile takeover bid in the IT sector, Larsen & Toubro on Monday made an offer to buy up to 66 percent stake in Mindtree for around Rs 10,800 crore, reported PTI. Larsen & Toubro has entered into a deal to buy Cafe Coffee Day owner V G Siddhartha's 20.32 percent stake in Mindtree and has also placed an order with brokers to pick up another 15 percent of the company shares from the open market. 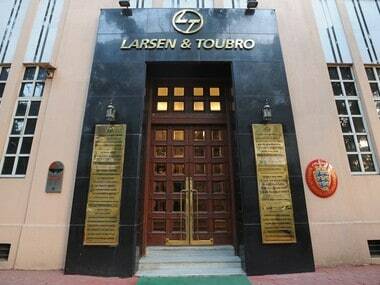 Subsequent to these deals, Larsen & Toubro would make an open offer to buy an additional 31 percent stake through an open offer, it said in a late evening statement. 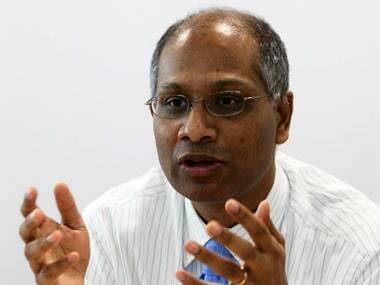 On Tuesday, Mindtree said it had found certain irregularities in disclosures made by Siddhartha, who sold a stake in the company to L&T, and had taken action against him as per the law, according to a top official of the Bengaluru-based IT firm. In this regard, a complaint against Siddhartha alleging insider trading during his stint at Mindtree has also been filed with market regulator Securities and Exchange Board of India (SEBI) by an anonymous person, according to sources.